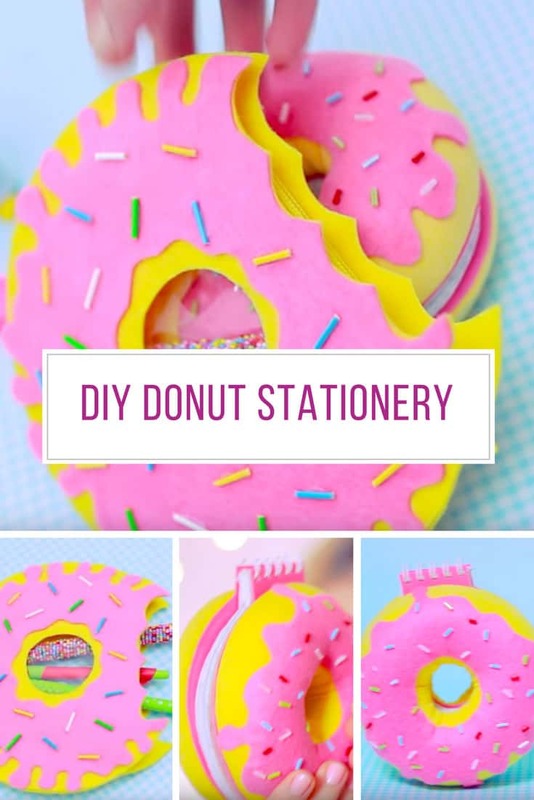 If you love donuts as much as you love stationery you are going to be in seventh heaven with these DIY projects! 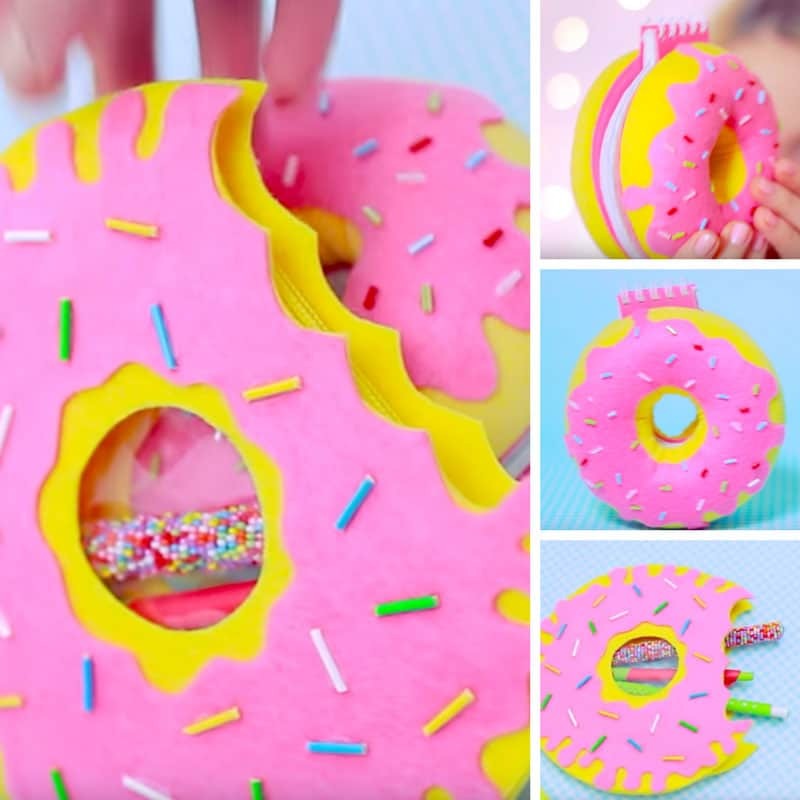 If you’re looking for a cute stationery project then you are going to be super excited about this DIY donut notebook and matching pencil case. Seriously they look good enough to eat! You can let your creative side lose making all sorts of “flavors” just by changing the colour of the felt. This is the perfect project to do with your kids before they go back to school, and much cheaper than buying similar stationery from the store! This notepad is so bright and colourful and perfect for donut lovers! They look just like real doughnuts thanks to the softness and the hole! You’re going to need somewhere to keep your pencils for writing in your notebook so why not make this matching donut pencil case! For more fun crafts and DIY projects make sure you subscribe to the Idunn Goddess YouTube channel!